Introducing Vintner's Best® Fruit Wine Bases, all natural and made with real fruit juice. 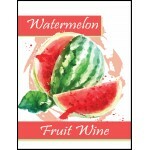 Each Vintner's Best® Fruit Wine Base makes five gallons of high quality fruit wine at 10% ABV. 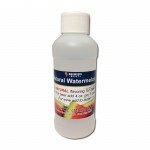 Extremely easy and convenient to make, requiring no PH adjustments and no acid adjustments. 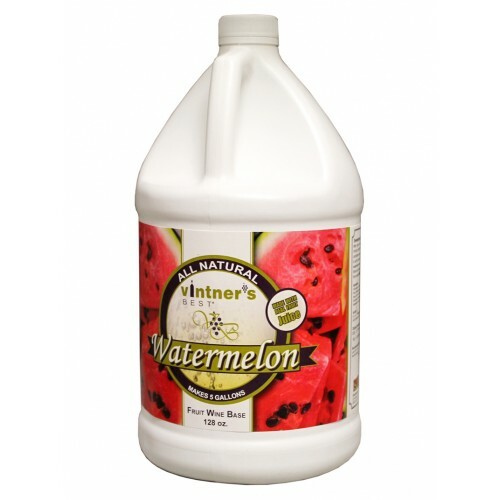 Simply dilute one gallon of Vintner's Best® Fruit Wine Base with four gallons of water, pitch a fruit wine yeast of your choice and stir! 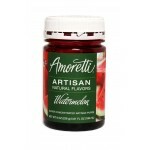 Ferment, stabilize, sweeten to taste, bottle as directed and enjoy your homemade wine. 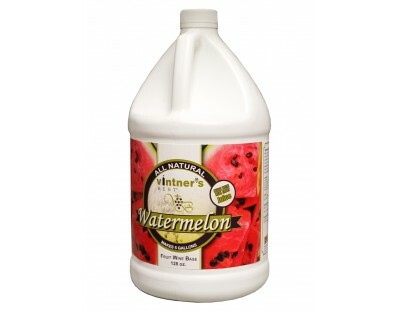 Vintner's Best® Watermelon Wine Base is a blend of Watermelon, Apple & Pear Juice Concentrates, Corn Syrup, Citric Acid, and Natural Flavors, designed to make a fermentable base for Watermelon wine. One Gallon at 73.1 Brix diluted to 18.9 Brix. Note: we suggest the addition of Yeast Nutrient at the beginning of fermentation.